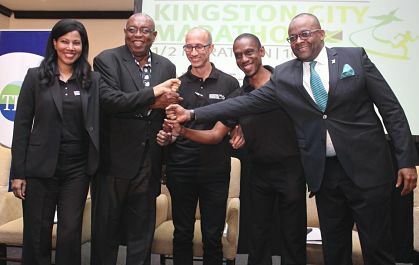 GOING THE DISTANCE: At least 5,000 persons are expected to participate in the inaugural Kingston City Marathon, which had its launch in Kingston last Wednesday. 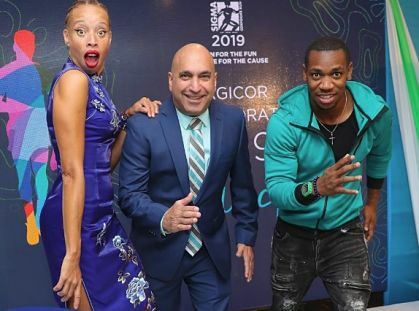 According to Nicole Madden-Greig, co-chair of the event (which used to be a half-marathon), entries are expected to come in from Dallas and Miami and from as far as Honolulu and Mexico. Director of Tourism, Donovan White, says the event’s graduation to a full-scale marathon is a most welcome development. “As running becomes a way of life for more people in pursuit of an active lifestyle, and travelling to run marathons continues to grow,” he says, “Kingston City Run’s graduation to a full marathon now gives serious runners, running enthusiasts as well as weekend warriors another reason to consider visiting Kingston.” The Kingston City Marathon is scheduled for Sunday, March 17.